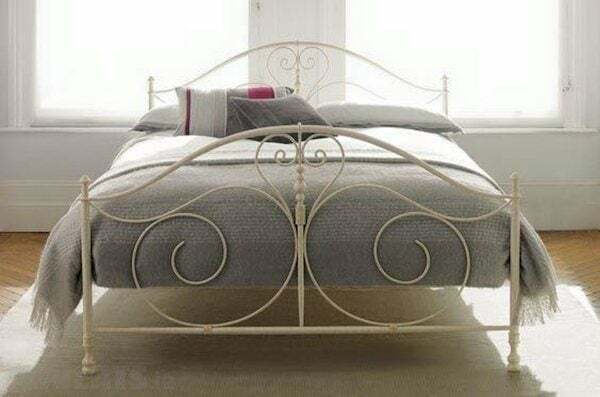 An elegant metal bed frame with a distressed ivory and pale gold finish. This product has sprung slats. Beautiful swirl designs on both headboard and footend, Mattress Included.